Free entry. Everyone is welcome. Always. Our third edition will take place in AULA cph, VerdensKulturCentret, Nørre Allé 7, Copenhagen, between March 8th-10th 2019. 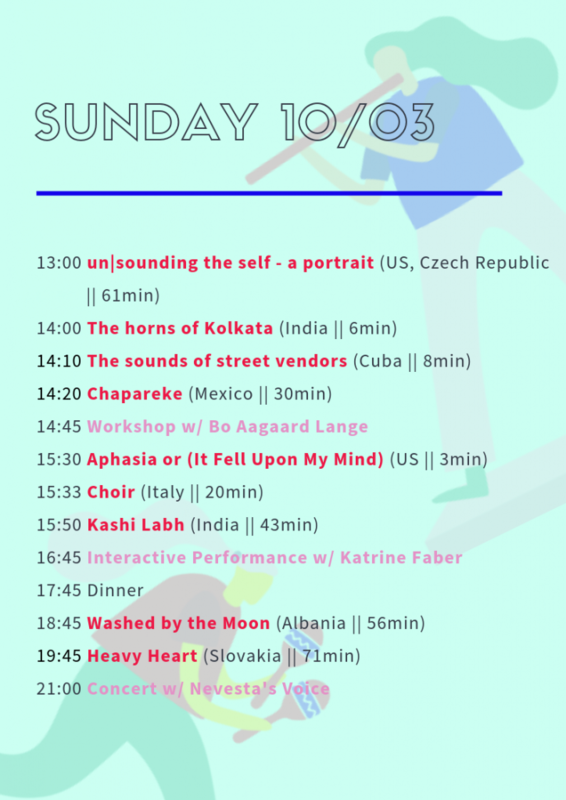 Based on our Open Call, we were able to prepare an Official Selection of wonderful international films, all related, in one way or another, to this year’s theme: sonance. 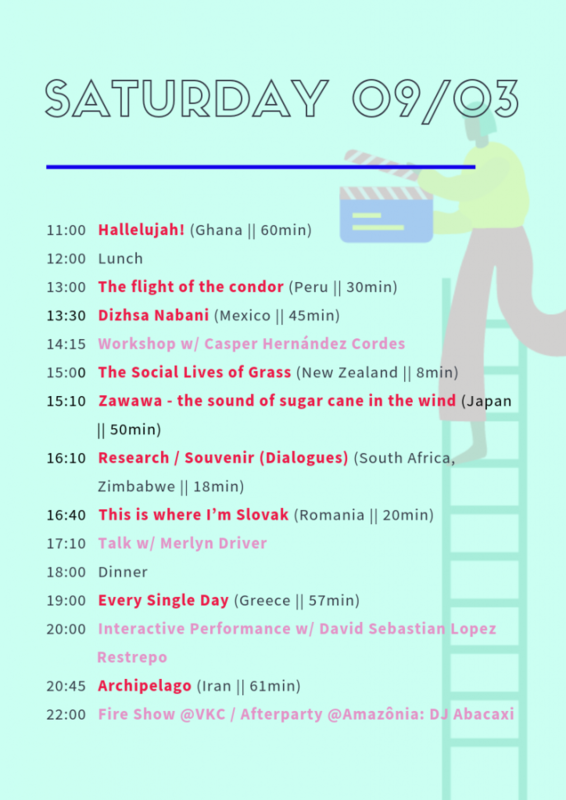 In addition to the screenings, we are also incredibly excited to be hosting anthropologists, performers, sound engineers and musicians with a range of engaging activities. So join us this March for what promises to be an extremely cozy and sound-provoking event!